Continuing on from their dedication to inspiring and arming every individual to become the best versions of themselves, The Coffee Bean & Tea Leaf®’s community for creative self-expression and personal development, Brew Your Best Year, is kicking off 2016 with the launch of a three-part series of events that will hit big cities in the country: Metro Manila, Cebu and Davao. The theme of the series will be Create: Brew Your Best Masterpiece in which community members will get to unleash their inner creativity and exercise their imagination by learning about Street Art - a booming platform for individuality and self-expression- and then applying what they’ve learned by being a part of the team who will create The Coffee Bean & Tea Leaf®’s very first public mural. The first leg of the series conducted by street artists BEK Graffiti and Janot happened last February 13, 2016 in the South’s Queen City, Cebu. Participants thought of their own interpretation of “Making one’s life one’s masterpiece” and translated it into a street art mural which can now be seen at the Escario Wall, located in one of Cebu’s busiest districts. As the 2nd part of the series, the team will be taking over Davao next on February 27, 2016 in what is called the “creative and entertainment hub of Davao”, Matina Town Square. The event will feature some of the city’s most talented, well-known streets artists who will showcase their talents and share personal stories behind the pursuit of their passion for street art. Participants can look forward to meeting Troy Bascon – one of the pioneering graffiti artists in Davao with his iconic style of using cans and intricate graffiti letters, Kim Vale – a fine arts graduate with a background of painting that eventually led him to his love of using stencils in his creations, Ghamar Kanda – knowledgeable in spray cans and industrial paints for his street art and is popular for his works using imagery such as fish with a lobster claw, and finally, Franco – one of the local street artists whose work you can find in every corner of the city and an expert in using wheat paste as his main medium. Just like the first event in Cebu, it will be a half-day workshop from 1:00-5:00pm wherein community members will get to learn about the history and basics of street art and graffiti, including a short tour of the existing street art. After which, participants are encouraged to collaborate together to design a street art mural in one of the walls in Matina Town Square. 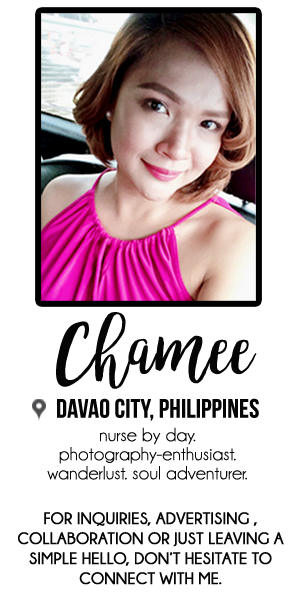 Everyone in the community has a chance to join the Davao event! 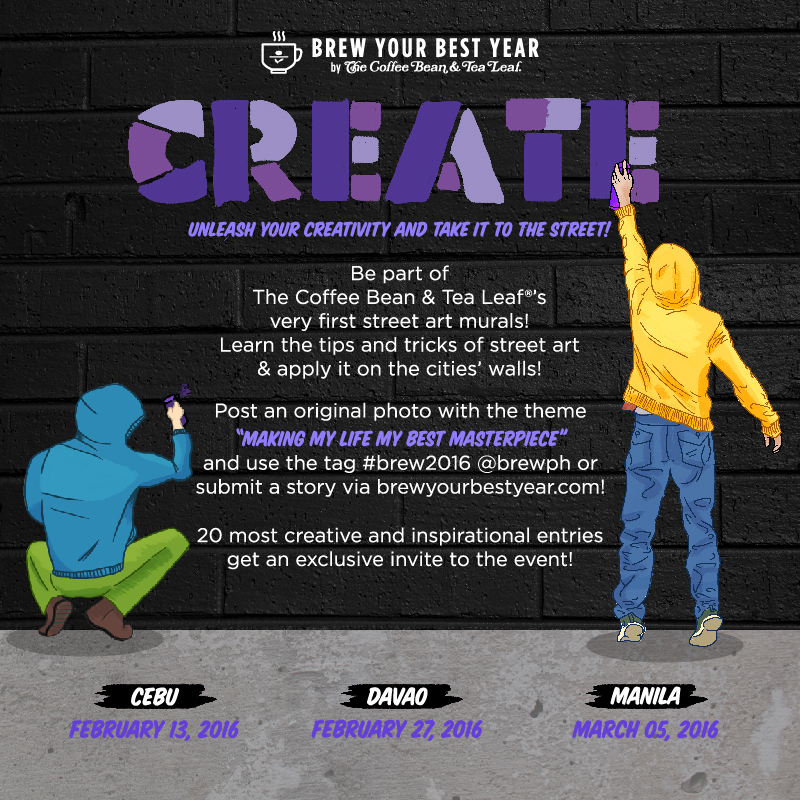 Either post an original artwork or photo on Instagram with the theme, “Making my life my best masterpiece,” while using the hashtags #brew2016 #cbtlph or submit a story via www.brewyourbestyear.com. 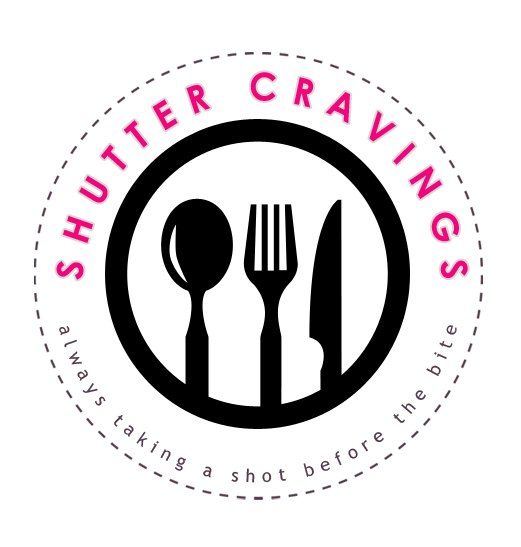 20 individuals with the most creative entries will receive an exclusive invite to the event!